Ten newly-elected members of St Agnes Parish Council – the Museum’s landlord – enjoyed a glass of wine or apple juice as part of their private evening visit to the Museum. They asked many questions and concluded that the Museum was a credit to the Parish. 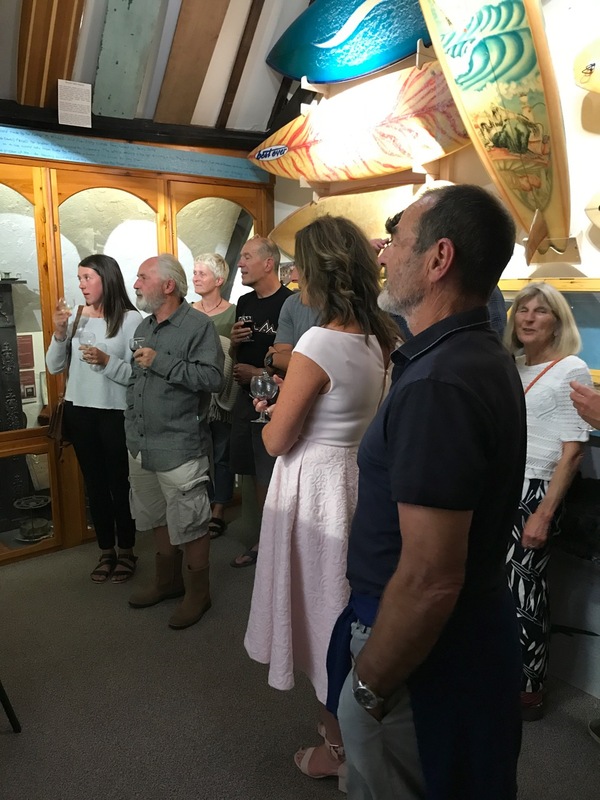 The Museum Committee held a very happy and enjoyable “Surfing Soirée” at the Museum to thank all those who had contributed to their vibrant, new exhibition on surfing and surfboard manufacture in the Parish. Some of those attending had never visited the Museum before, but were very impressed by what they discovered. Social media has led other surfers through our door for the first time – a man from California has called in especially to see the surfboards, and an Australian living in Bali has written in our Visitors’ Book that he especially liked the surfing display.